AyurvedicYogi » Honey- Ayurvedic Nectar but does heating make it toxic? Honey- Ayurvedic Nectar but does heating make it toxic? Honey is known as ‘madhu’ in the Ayurvedic scriptures, meaning ‘perfection of sweet’. 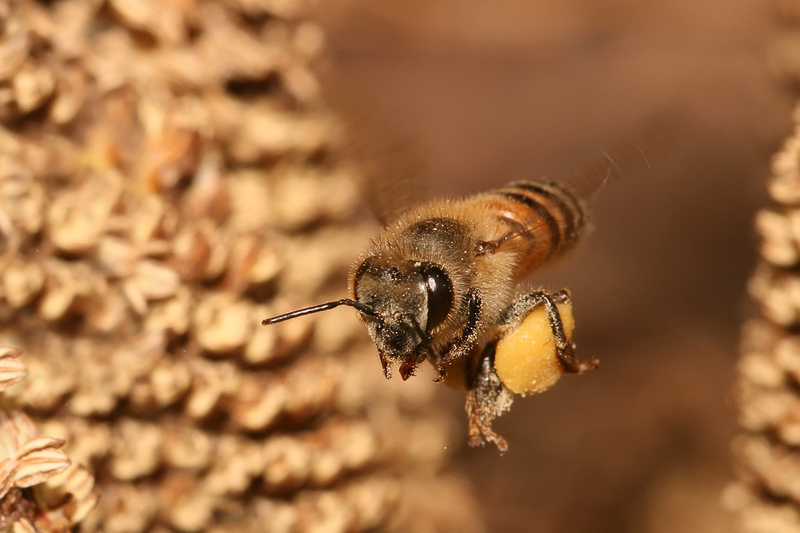 It is a fascinating food and medicinal substance due to its intrinsic connection with the honey bee, apis mellifera. One especially controversial view is that one should not heat honey or it becomes toxic. Sadly my bee colony (pictured) did not make it through the Summer as the Queen was not laying eggs and the wasps were too many. But I will use the beautiful comb they left behind to start with another colony in the Spring. Honey is one of the original superfoods in that it contains vitamins, minerals, enzymes (such as invertase), antioxidants, sugars and even some amino acids. 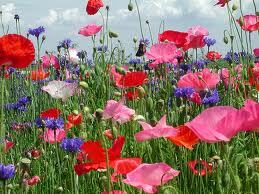 It is far sweeter than other forms of natural sugars as it has been concentrated by the bees. Most natural sweeteners, such as date sugar, maple syrup are sweet and cooling in their Ayurvedic properties, reducing both Vata and Pitta whilst increasing Kapha. Honey, however, has been pre-digested by the bees and is warming making it an exception to the Ayurvedic rule that sweet foods are cooling. Honey is hence the only recommended sweetener for Kapha types who need to eat more warming foods to counter their cold nature. Indeed, honey can actually aid weight loss when taken in warm water every morning and is used as a traditional Ayurvedic remedy in this way. People are increasingly replacing white sugar with healthier substitutes, such as honey though there is a mixed picture for the holistic nutritionist Paul Pitchford who writes: “Honey is highly refined by the bees and has more calories than white sugar. It is much sweeter and is assimilated directly into the bloodstream very quickly. However, honey does contain some minerals and enzymes and thus does not upset the body’s mineral balance as much as sugar.” As wondrous as it is, honey should still be used in moderation! Any good Ayurvedic cook book will mention that according to Ayurvedic dietary principles, honey should never be heated to above 40°C (104°F) such as by adding to hot drinks or baking. The typical explanation given is that honey digest slowly when cooked and the molecules become like glue, adhering to mucous membranes and clogging the body’s channels, producing toxins or ‘ama’. Charaka, the ancient sage of Ayurveda, wrote over 500 years ago that “nothing is so troublesome as ama caused by the improper intake of honey.” Indeed ‘ama‘, or undigested matter in the body, is considered to be the root cause of most ill health by Ayurveda. Many incompatible food combinations produce toxins, but heated honey is one of the most difficult forms to cleanse. Other explanations are that heating honey destroys the enzymes, or that it affects the minute amounts of wax found in the honey. a. Honey should not be mixed with hot foods. b. Honey should not be heated. 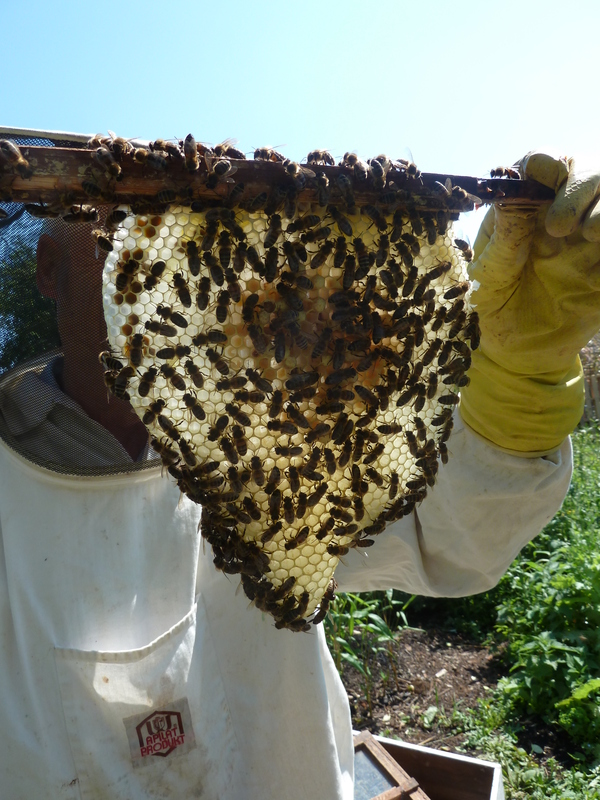 c. Honey should not be consumed when you are working in hot environment where you are exposed to more heat. d. Honey should never be mixed with rain water, hot, spicy foods, fermented beverages (whisky, rum, brandy) ghee, mustard. e. Honey includes nectar of various flowers of which some may be poisonous. So no more hot toddies!! These additional precautions can be explained as being due to poison having hot qualities. When honey is mixed with hot and spicy foods the poisonous properties get enhanced and cause an imbalance of doshas. The broad conclusion is that uncooked honey is nectar whereas cooked honey is poison. This concept is quite alarming for people who have been advised to substitute honey for sugar in most recipes! Indeed most commercially available honey (i.e. anything you buy from a supermarket!) has been heat treated. Its easy to dismiss these thoughts as bunkum if you do not respect the wisdom of the Ayurvedic tradition. So where does modern science stand on this issue? One scientific paper looked at both heating honey and mixing honey with ghee in equal proportions, both deemed toxic by the ancient texts. This study showed that when honey is heated it produces a chemical called hydroxymethyl furfuraldehyde (HMF) as well as altering the chemical content in other ways (eg: increased peroxides). The study is looking at the effects on rats and is complicated but concludes that HMF “may produce deleterious effects and act as a poison in due course”, especially when heated honey is mixed with ghee. So what about the bees- considering honey is their Winter food? Phil Chandler, a pioneer of natural beekeeping writes that bees fed heated honey die to HMF being toxic to bees. He also states that some sources state that HMF may also be toxic to humans. However, other web-articles state that it is not toxic to humans and that much higher levels are routinely found in molasses and other sugar products. As usual, more research needs to be done on whether HMF is harmful to humans or not. I feel it is not rocket science that heating honey affects its properties. The fact that heated honey kills bees is enough for me to heed the Ayurvedic warnings and use something like coconut palm sugar or jaggary where heating is required. Why is Honey so important in Ayurvedic healing? Honey has a powerful therapeutic action because of its incredible antibacterial and antifungal properties. Due to these properties it is widely used for skin problems, such as cold sores (mixed with turmeric) and non-healing ulcers. It is often used in cough and lung medicines because it breaks up mucus. It is also used widely in aphrodisiacs which can be explained by honey being sourced from flowers which are the plant’s reproductive organs. According to the principle ‘like increases like’ honey has the potential to nourish our reproductive organs by increasing what Ayurveda terms ‘ojas’. It is hence a valuable rejuvenator and used in many rasayana formulas, such as Chywanaprash. 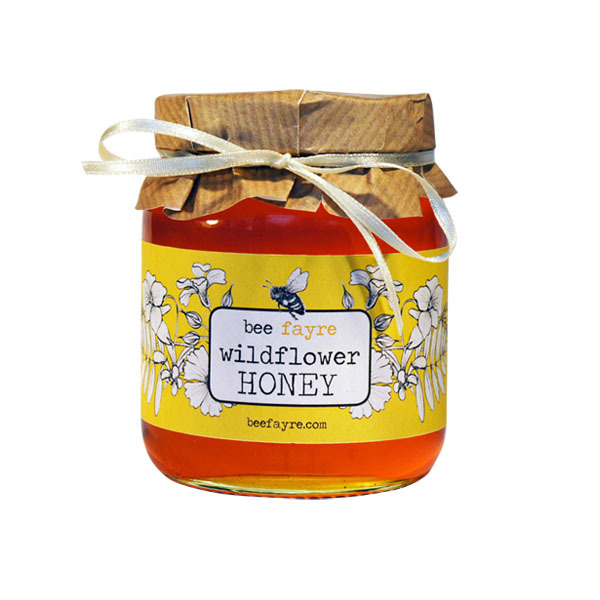 Eating locally produced honey can also protect you against seasonal allergies such as hayfever and asthma. Additionally according to Ayurveda it is the best ‘yogavahi’ substance. This Sanskrit word refers to honey’s ability to carry the properties of medicines added to it. This is due to the fact that honey originates from flowers having different tastes and properties and itself has many latent therapeutic powers. As such honey is often used as a carrier of other medicines or herbs. It is not just the Ayurvedic tradition that recognises the amazing healing qualities of honey and its related products (such as bee pollen, propolis and royal jelly). A bee flying with bee pollen is pictured above right. For example it is thought the origins of Chinese accupuncture can be traced back to the ancient practice of applying bee stings to the bodies meridians. There is even a book on “Bee Shamanism” which may be the most ancient branch of shamanism found wherever the honey bee exists. This book goes into wonderful depth on the healing and indeed spiritual powers of honey and other bee products, including the ‘flying ointment’ once used by medieval witches and “nektars” used to promote longevity and sexual ecstasy. Must be read to be believed! Mix 1 tsp each of ginger powder, turmeric and black pepper and take ½ tsp of this mixture with honey twice a day (similar to Trikatu).